Green or Black Canvas Backpack - strong and sturdy with lots of zips and pockets..
Green Canvas Backpack - strong and sturdy with lots of zips and pockets.. Heavy duty washable cotton canvas with handle and removable/adjustable shoulder straps. - Inside is ..
Quality Cotton Canvas Messenger Bag Heavy duty washable cotton canvas with handle and adjustable sho.. Heavy duty washable cotton canvas with handle and adjustable shoulder straps. - Inside is nicely lin.. Description: - Heavy duty washable cotton canvas adjustable shoulder straps. - Inside is nicely lin.. Description: - Heavy duty washable cotton canvas with adjustable shoulder straps. - Inside is nicel.. 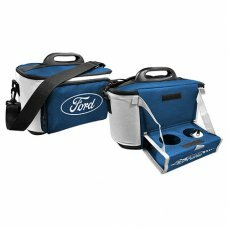 This stylish black Doctor's Overnight Bag from Moana Road is excellent for any escapes or escapades ..
Ford Cooler Bag with pull down tray - Pull down tray and drink holders, adjustable strap - Can..